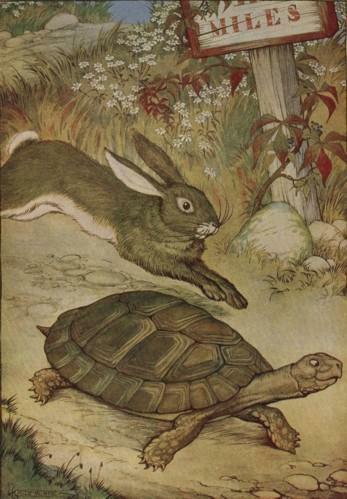 The Tortoise and the Hare is similar to The Brothers' Grimm fairy tale, The Hare and the Hedgehog . Aesop's story is featured in our collection of Short Stories for Children. You may also enjoy reading the parody of this fable, told in rhyme: The Persevering Tortoise and the Pretentious Hare . Add The Tortoise And The Hare to your own personal library.